Are you looking for an antenna that will provide you long range and good frequency? Then, Stryker CB antenna might help you. In the early 1970s, people started using CB radios in the United State. After a decade, a new CB radio company has been invented named “Stryker”. It is shaped as 10-meter radios by making performance and reliability. On next, they bring a powerful antenna that is known stryker CB antenna on the market. Among my experience, I have selected 2 top rated stryker CB antenna that can be proved as most useful. Why don’t you visit the page Best Stryker CB Radio for some exclusive Cb Radios. 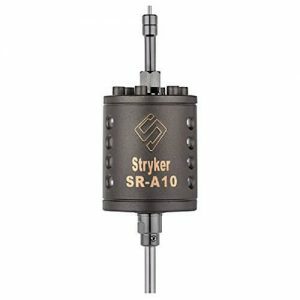 With 6 gauge solid copper, The Stryker SRA is extreme durability and high performance. It has 100% silver plate wire. This stryker antenna has high power handling capability of 10,000W. It reduces static interference and can be tuned for 26 Mhz – 30 Mhz. Its double wall coil cover made from high impact mobay plastic, And It comes with 10 inch stainless steel shaft. It is featured for extremely efficient high Q coil. Its dimensions are 36 x 2 x 2 inches. The truckers love this piece for working 10, 11 and 12 meter radios. Also, The New Stryker SR-A10 is inspired by the US Air Force Thunderbolt II, affectionately nicknamed “The Warthog”. It is the coil that will make this antenna better than your regular antenna. Its shell is double which makes sure that the coil is safe. 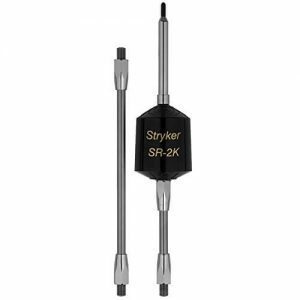 Including two different shaft lengths, The strykr SR 2k antenna is great for outstanding performance, excellent quality and efficiency. Its power handle capability makes this a high demanded in the market. 5″ and 10″ shaft are both included in it. This SR Trucker antenna has low loss coil, that allows you to have more talking power. This Stryker trucker CB radio antenna is best rated for 3600 watts for use on 26MHZ to 30 MHZ. The manufacture of stryker antenna is providing two years factory warranty. Is this stryker SR 2k antenna work on 10 meter ham band? Yes, this works fine with stryker antenna. Is this antenna work with any regulr CB radio? Does this SR-2k antenna come with mirror mount and coaxial cable? It includes 5″ and 10″ shafts with an allen wrench. A mirror mound doesn’t come with it. You can buy some coax cable if you don’t have it. But the SRA 10 antenna comes with Mirror Mount feature. Here I have reviewed and published the benefits, features of Stryker CB antenna. 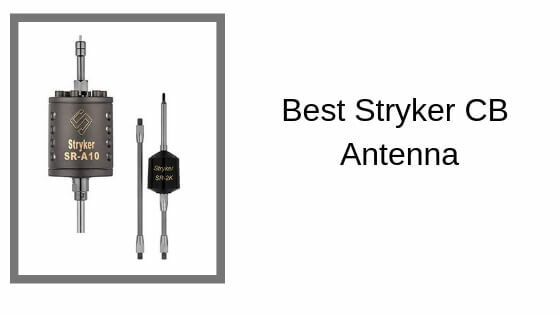 In my opinion, Stryker SRA10 Mirror Mount Antenna would be perfect for you, among all other antennas.